(Reuters) – An ambitious scheme to replant about a fifth of the land under palm oil in Indonesia is running far behind schedule, marking a blow to efforts by the world’s top producer to lift yields and fend off attacks on the sustainability of the crop. The target of replanting 2.4 million hectares of palm grown by smallholders with quality seedlings by 2025 comes as Indonesia and Malaysia, the world’s No. 2 producer, face a backlash in Western countries over the environmental toll of the edible oil. “Since there has been a growing global backlash against palm oil, it is crucial the replanting program is carried out as soon as possible,” said Thontowi Suhada, a researcher at the U.S.-based World Resources Institute (WRI). In a country where land ownership is often poorly documented, farmers had been shunning the program because many lack the proof of plot ownership required to register for the scheme, said Bambang Gianto, a farmer based in South Sumatra. “There are those who don’t know how to use a computer yet. Some don’t even know what an e-mail is,” said Gianto, who has been trying to help farmers register collectively. Widodo has now ordered officials to streamline the program, which also aims to help plantations meet requirements to receive Indonesian Sustainable Palm Oil (ISPO) certification. Musdhalifah Machmud, deputy minister at Indonesia’s Coordinating Ministry for Economic Affair, admitted to flaws in the scheme. “Communicating the program to farmers turned out to be not as easy as we anticipated,” she told Reuters, adding many farmers also were worried about strings attached to financing. Mansuetus Darto, chairman of the Palm Smallholders Union, said many members were also wary about the involvement of big plantation companies in case they “take away our land”. The government also intended to employ surveyors to resolve land ownership or rights issues, Machmud said, pledging that all of these efforts should get the program back on track. Some simply took fallen fruit from neighboring land to plant, said Dono Boestami of the Estate Crop Fund, a state agency in charge of financing the replanting. 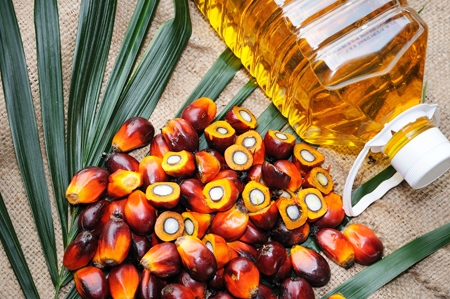 Smallholders currently produce two to three tonnes of crude palm oil per hectare a year, against 12 tonnes by Malaysian smallholders, according to Indonesia’s agriculture ministry. “If this is not being accomplished, smallholders probably will be facing further decline in yields, and further increases in production costs,” Mielke told an industry conference. The Indonesian Palm Oil Association sees 2018 production at a record 42 million tonnes, but drier conditions due to an El Nino weather pattern may slow output growth this year.